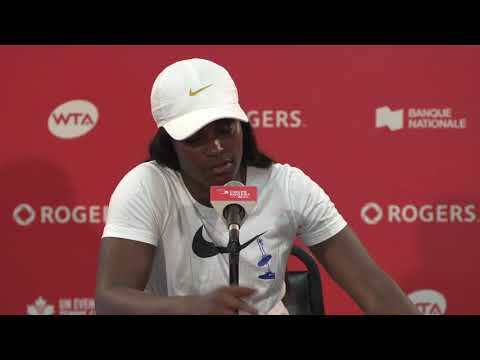 In perhaps one of the most exciting Wednesday lineups in recent Rogers Cup presented by National Bank memory, all four of the world’s top players took to the court. The Czech played her first tournament as the new world No. 1 and fielded countless questions at All Access Hour about the pressure and how she would handle it. No problem, it would seem. The big server came out on the winning side of the scoreline 6-3, 6-3 against Anastasia Pavlyuchenkova. Garbine Muguruza is in one of the most enviable spots on tour as reigning Wimbledon champion. However, one box had yet to been ticked: a win in Toronto. Muguruza navigated a tough first opponent in Kirsten Flipkens and found her rhythm towards to the latter stages of the match. The 7-5, 6-2 win came after putting together a semifinal run at her first event of the summer hard court season in Stanford, the Spaniard is exuding a little extra confidence. In Washington, Makarova picked up her first title in three years and boy did she keep the momentum rolling! The Russian pulled off the biggest upset of the tournament with a 5-7, 7-6, 6-3 win over Johanna Konta. American teen CiCi Bellis blasted past veteran No. 8 seed Svetlana Kuznetsova 6-4, 7-5. The 18-year-old recently wrapped up a semifinal run at her home tournament in Stanford. In her first ever Rogers Cup, Bellis is already into the round of 16. Today’s win chalks up as Bellis’ second top 10 victory on the season. Her first came against Agnieszka Radwanska in Dubai. When you think Lucie Safarova, your first thought is likely top doubles player. The Czech proved once again to never underestimate her singles skills. The 2015 French Open finalist secured a spot in the round of 16 with a 6-2, 6-4 over No. 11 seed Dominika Cibulkova. The Aussie underdog is pushing her way through the draw. She emerged from qualifying after grinding out a 1-6, 6-2, 6-2 win against American Madison Brengle. 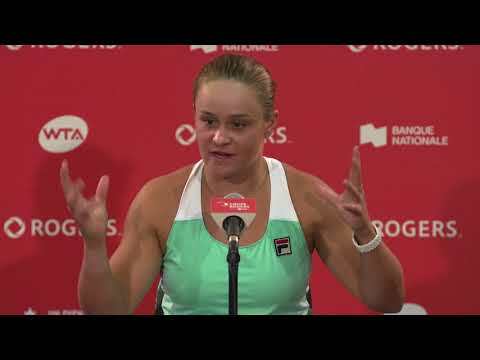 In her fourth match of this Rogers Cup, Barty dispatched of Indian Wells champ and No. 18 seed Elena Vesnina 6-3, 5-7, 6-4. Bellis wasn’t the only young gun looking to upset the established order. Fellow teen Naomi Osaka took out the No. 15 seed Anastasija Sevastova 6-3, 6-4 and set up a date with No. 1 Karolina Pliskova.